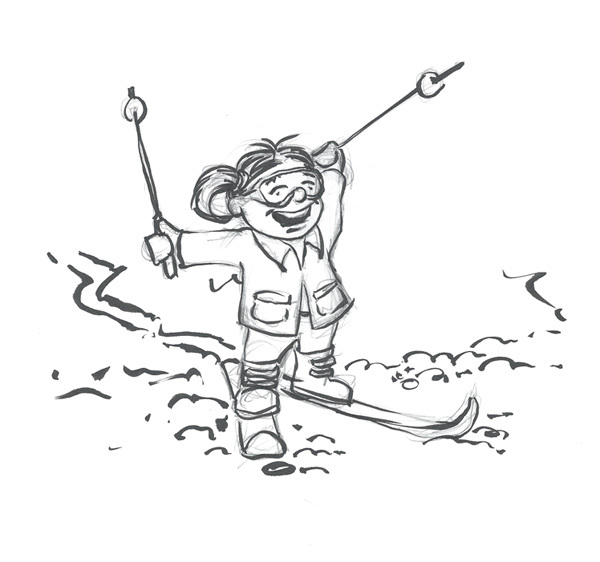 My mental image for this image became my sister-in-law when she was skiing as a child. With that in mind, I chose brown hair and dressed her in orange and blue because she’s a Florida Gators fan. I imagined that her cheeks and nose would be fairly rosy from the cold wind, and that also helped me add some dimension to her face. My wife and I bought our first house last fall and this is the first painting that I did in my new studio, so it holds a special place in my heart. 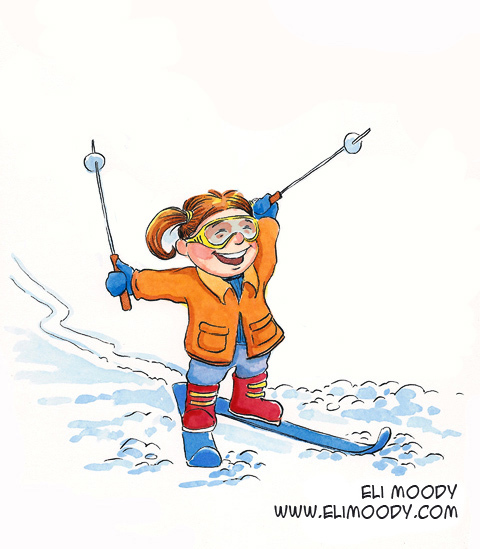 This entry was posted in illustration and tagged eli moody, humans, illustration, pen and ink, pencils, skies, skiing, watercolor. Bookmark the permalink.